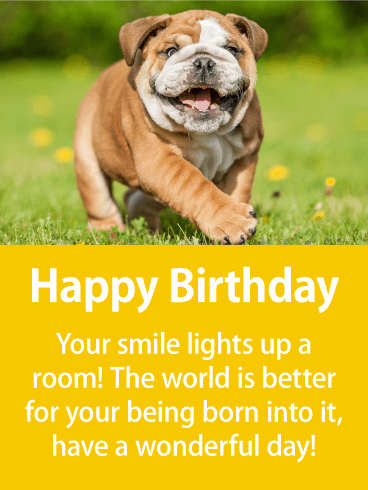 Happy Birthday - Your smile lights up a room! The world is better for your being born into it, have a wonderful day! 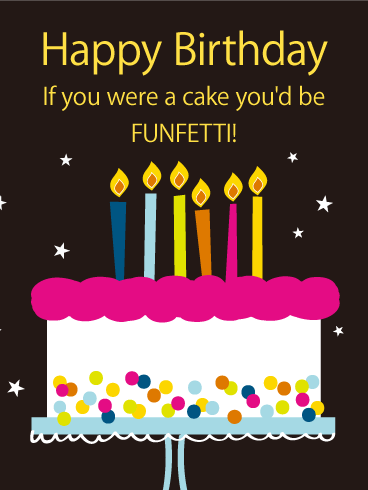 In a world filled with so many plain, boring cakes let someone know they are a funfetti cake! The birthday card shows a cute little confetti white cake with pink frosting on a pale blue cake-stand over a black, starry background. The text is printed in a blissful shade of yellow making this card perfect for all ages and genders! 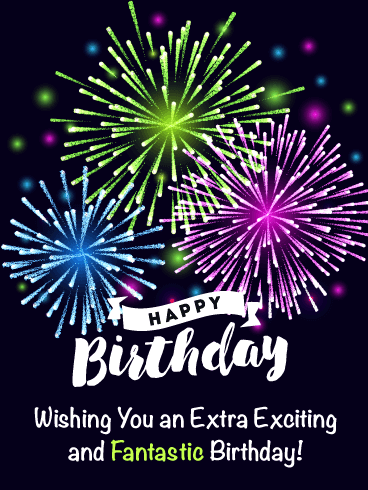 Say happy birthday a fun way! Is it someone's birthday? 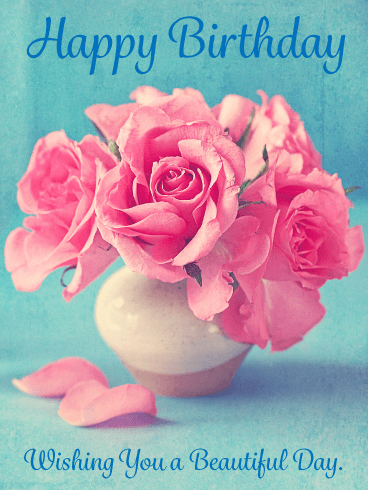 What better way to show them you remember and are thinking of them today, than by sending this sweet card! 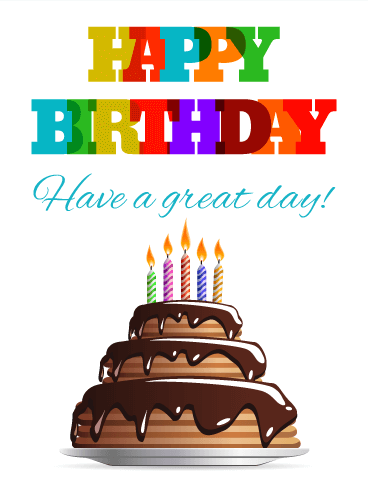 "Happy Birthday" it proclaims proudly in rainbow-colored lettering on a white background! Have a great day! The chocolate frosted chocolate layer cake is sure to make anyone drool! 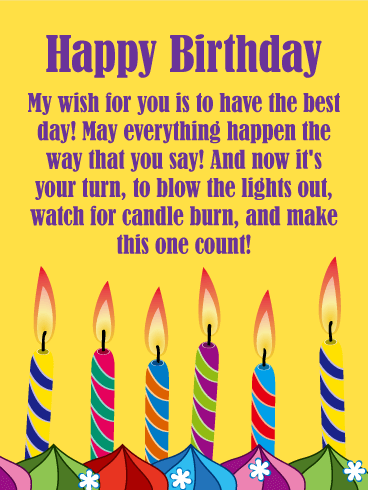 Topped with striped birthday candles this birthday card works for any and everyone! This pleasantly purple birthday card is decorated with a cute, round, pink-frosted cake topped with lit candles that spell out the word: "Happy"! 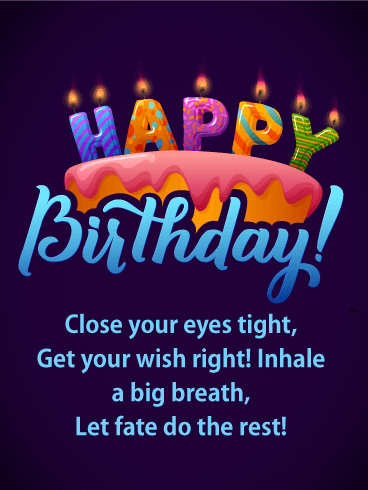 Complete with a little birthday poem, sending this card to a loved one will let them know you want their biggest wishes and dreams to come true! A perfect birthday card for anyone young or young at heart! What is a birthday, other than a new year's celebration for an individual? 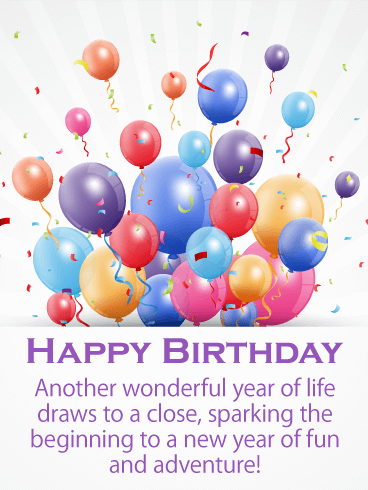 This Balloon Drop birthday card congratulates on the completion of another year of life in the books while looking forward to a new chapter with new celebrations! 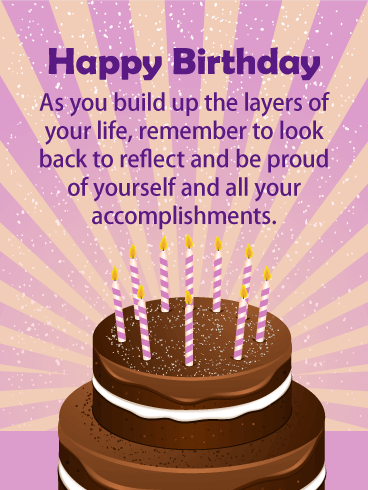 Send this birthday card to help someone anticipate their new age even more! Conservatively colored balloons over a white background make this birthday card a great choice for almost anyone in your life. 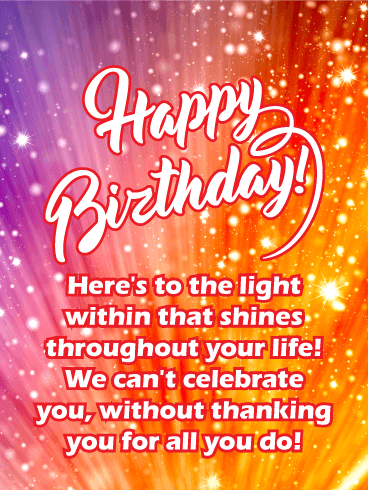 Let that top notch, high dollar, solid gold, fireball friend, family member, or coworker know that you and everyone who knows them, wishes them a Happy Birthday with this Star-Spangled Birthday Card! 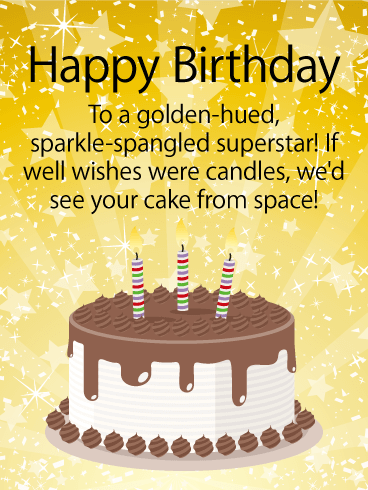 It suggests that if well wishes were candles you'd be able to see this card from space! 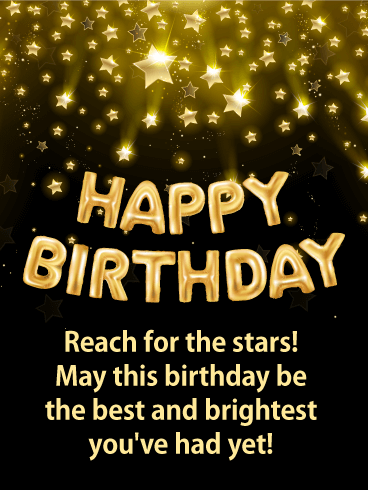 You're sure to send the recipient to the moon with joy by sending this birthday card! There are few things in life as delicious as a cupcake! 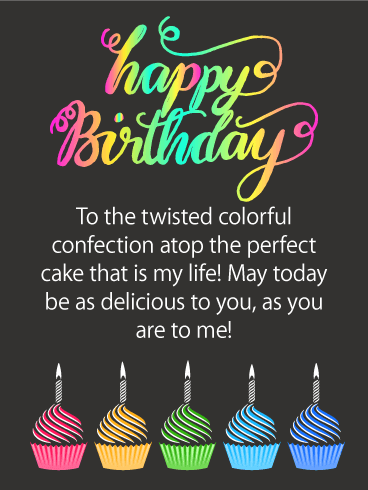 Wish a cupcake cutie a happy birthday by sending them this neat, neon birthday card! The bright pink, yellow, green, and blue stand out beautifully against the black background! The message on the card let's that special person know they are the icing on the cake of your life!